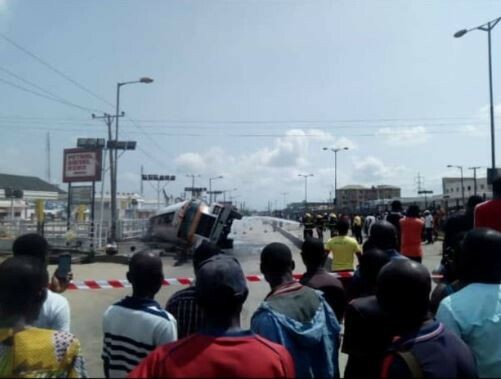 Earlier today, Ikorodu road in Lagos was temporarily closed as a tanker carrying Premium Motor Spirit fell and spilled its content on the road. The tanker, which fell at Kosofe area of Ketu caused a gridlock as Lagosians coming from Ikorodu were stuck on the road. Lagos State Fire Service announced the temporary closure of the road while advising road-users to make use of alternative routes. “If you’re coming in from Ikorodu towards mile 12, Kosofe, Ketu. Road is temporarily shut down. Loaded Fuel Tanker fell,” a tweet on the LASG Fire Service handle read. The Fire Service noted that emergency units are on ground and working to avert a fire incident.